I think it’s a great idea to have a bucket list. You know, a list of things to do before you, well, you know…kick the bucket. It’s kind of a trendy idea these days, but the concept is not a new one for me, I’ve had one since I was twelve years old. I’ve succeeded in doing a few things on the list, but I have plenty more to go. 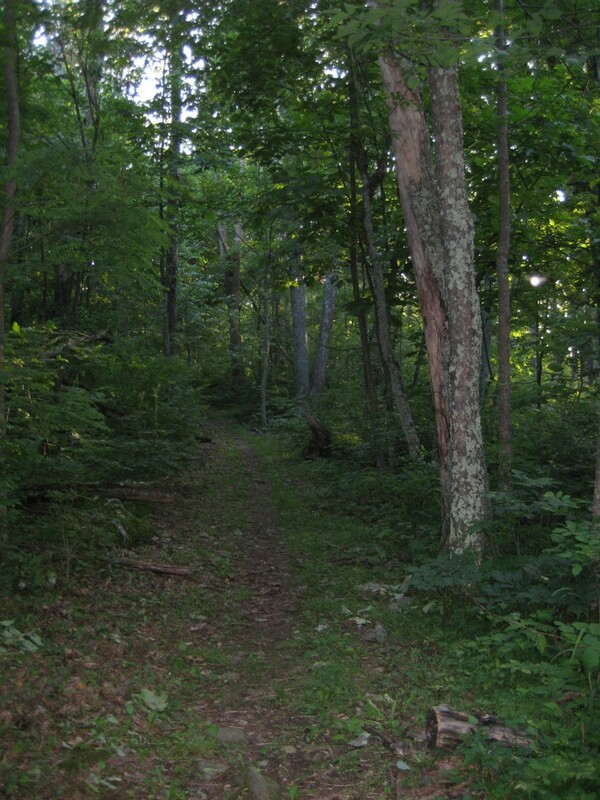 One of my long-held goals was to hike the Appalachian Trail. And I’ve done it! Cross off another item off the list. Yes, indeed. 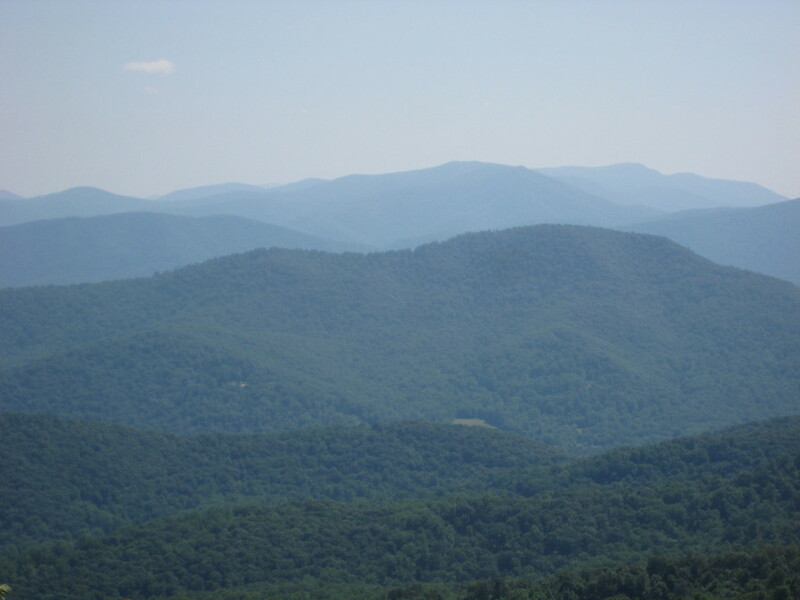 Now I didn’t say I hiked all of the Appalachian Trail, mind you—I just hiked on it. An entire mile or more. It’s a lovely trail, the part that winds through Shenandoah National Park in Virginia. It’s almost like fairyland, with wildflowers and crystal brooks and the trees making a green tunnel in front of you. The narrow path winds through mossy rocks and ferns, it’s quiet and peaceful, and what could be more relaxing and buzz. Buzzzzz. A loud buzzing noise. A sort of metallic, rattling noise. Oh my god. Wow. We contemplated each other from a safe distance and once I got my heart rate down a bit I sloooowly backed up. Every time I moved he’d tense up and rattle some more. He (she?) was coiled in a thick mound like a pile of rope, flicking a forked tongue at me and glaring unblinkingly in my direction. Let me make it clear, I was more than twenty feet away from the snake at all times and this was not a near-death experience or anything. But I’ll never forget those five minutes when we stared at each other, the rattlesnake and I. Two travelers on the Appalachian Trail. Lots of people never bother to have a bucket list because they think the things they really want to do aren’t realistic. Climb Mount Everest. Dog-sled to the South Pole. Be elected President. Buy a BMW. But a bucket list isn’t a shopping list, where you just stop by the store and check off item after item—shampoo, cat food, tuna fish, yep, yep. A bucket list is a direction to head in. It’s a reminder that life is short. It’s a storing up of memories to tell the grandchildren…Yes, I remember when I was hiking the Appalachian Trail, and wrestled with a ten-foot rattlesnake (stories always get better the more you tell them). The truest of all truisms is that you only live once. I probably will never hike all of the Appalachian Trail, all the way from Georgia up to Maine. But that one short mile gave me enough memories for a lifetime. Oh yeah! It’s a GREAT story. My heart is in my throat just reading it.